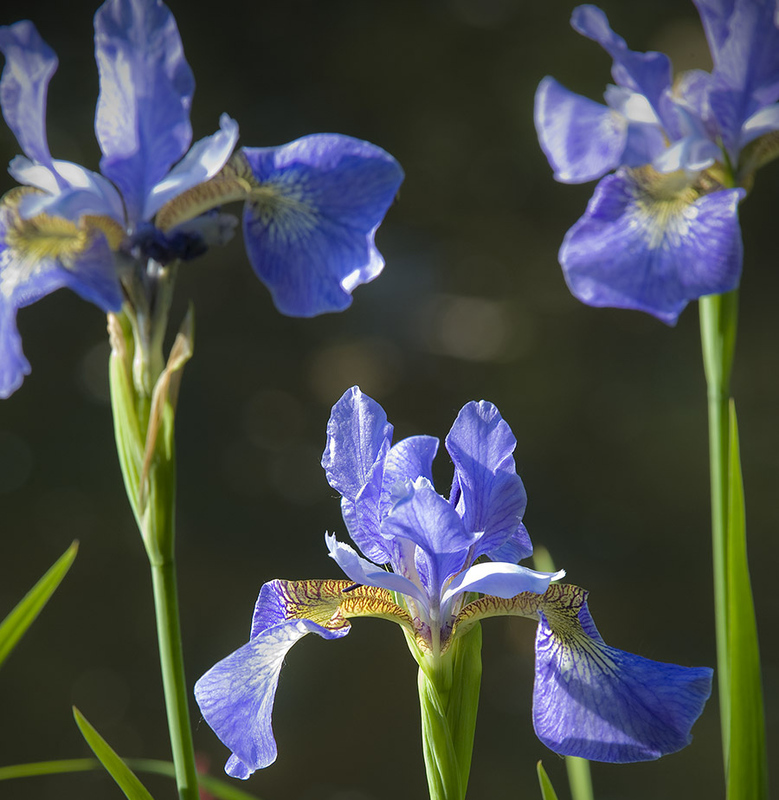 Bulbs or rhizomes, irises have been known, cultivated and adored since Antiquity. They are undoubtedly one of Claude Monet’s favorite flowers. He planted and painted them on many occasions, as did Vincent Van Gogh after him. Irises are highlights of the second half of May. They border half of the Clos Normand, alone or with peonies or aubrietia. A favorite flower in Claude Monet’s paintings, the iris is the main subject of numerous canvases such as “Le Jardin de l’artiste à Giverny” painted in 1900 and exhibited in the Orsay Museum. Irises require a well drained soil and fear having their feet in water. For optimal flowering, it needs as much sunlight as possible. In poor soils, add some natural or, failing that, chemical fertilizer at the beginning of the season, and it’s done. Nothing else to do, only divide them when they are too crowded and their flowering too restricted, generally, every three to five years, sometimes more.